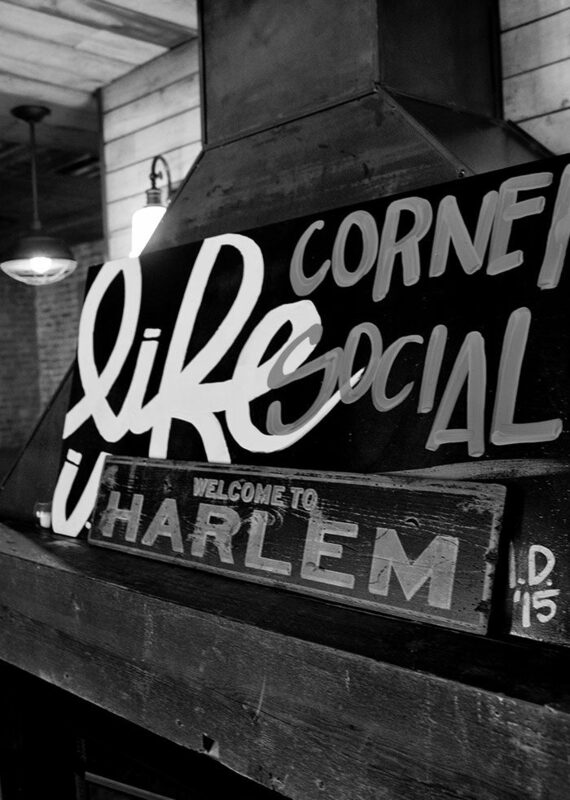 With the vision of creating a warm, authentic space where long-lasting and genuine connections organically occur, Corner Social was launched in March 2012. Our wood-lined, indoor space accommodates about 100 guests across our bar, communal and dinning tables. In the summer months, our 50-person outdoor patio offers views of midtown Manhattan’s landmarks making for a perfect NYC evening. The same principles on which we built our space, have led us to creating our kitchen’s diverse and delicious offerings. We offer contemporary, American cuisine and we are consistently finding ways to update and improve our menu. 7 days a week for lunch, brunch, dinner and late night dinning, guests will find a variety of choices to fit any taste preferences and dietary needs. Our full bar mixes the best of tradition with the trendiest brands on the market and is complemented by our extensive list of international and craft beers. Join us any night of the week for a drink, dance and to enjoy the most talented DJ’s in the industry! With a focus on community, connection and family, our mission is to continue working hard to honor and make a difference in the Harlem community. Whether it’s date night, girls night out or a quick solo-stop after work, our magical corner is perfect to connect, let loose and inspire. Entrepreneur and Business owner Anahi Angelone, is originally from Argentina and has opened and managed numerous bars and restaurants across Manhattan since her arrival in New York City in 1999. Anahi received a Bachelor’s Degree in International Business Administration from Berkeley College and completed an executive education program at Columbia Business School in 2016. She has been a proud resident of the Harlem community since 2010. In the past 7 years, she has created, from inception, two multi-million dollar restaurants in Central Harlem; the now iconic, Corner Social, and Angel of Harlem. Anahi is an active member of the community and supports Harlem based organizations like Harlem Grown and Harlem Village Academy. She currently employs over one hundred Harlem residents and her overall mission is to create partnerships with local individuals including artists and suppliers to promote, celebrate and encourage local talent. Anahi has received numerous recognitions including being honored by her significant impact upon the community by City Council Inez Dickens and a Legacy Award by Columbia Business University. 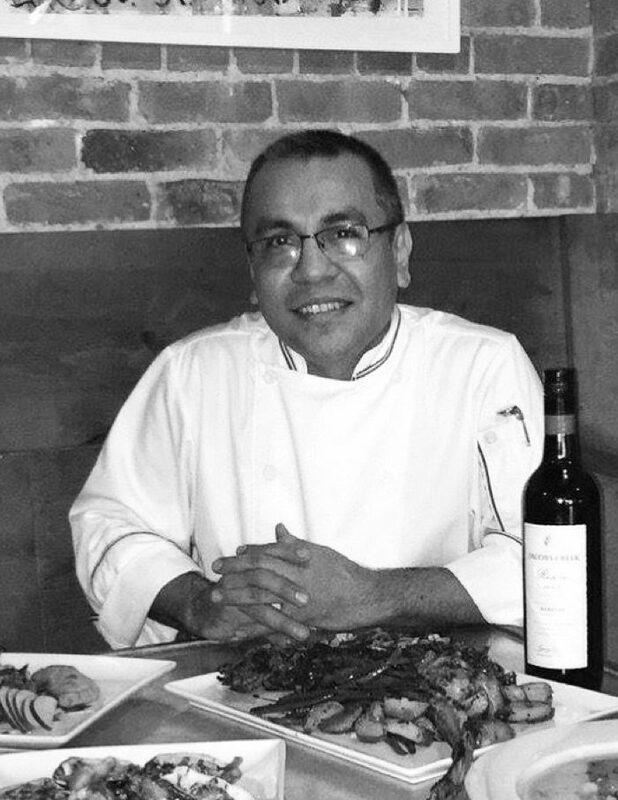 Chef Escamilla brings over 20 years of top-notch culinary expertise to Corner Social. Having worked in numerous roles (recently as a Restaurant Owner, Executive Chef, Manager, and sous chef), he has a deep understanding what it takes to keep a restaurant running effectively and efficiently, while ensuring that customers are provided unbeatable service. Accessibility Notice Corner Social LLC strives to improve the usability and accessibility of its domestic restaurant website and mobile application for all users, including those with disabilities. Corner Social efforts to improve digital usability and accessibility are guided by the relevant portions of the Web Content Accessibility Guidelines 2.0, Level AA and other existing recommendations. Our efforts are ongoing and are tested on a periodic basis using various forms of assistive technology. Our testing tools include the JAWS Screen reader. If you experience difficulty accessing or using information on Corner Social restaurant website, please contact us at contact@cornersocialnyc.com. In your message, please provide your contact information, the web address or other location where you experienced difficulty, and a brief description of the problem you encountered.